I hate to cook, but I love to bake. Cooking involves watching things and pfaffing around I don’t have the patience. With baking you throw a bunch of stuff together, mix it and put it in the oven and voila magic happens. My grandma taught me how to bake and I still have a few of her baking things, but I have wanted some old fashioned sturdy mixing bowls for ages. 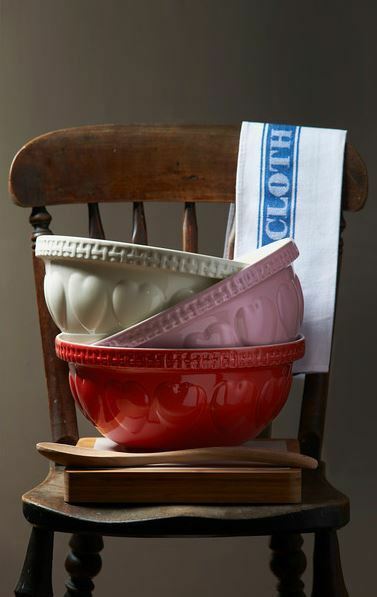 In particular I’ve had my eye on Mason Cash bowls, established in 1800 ceramic and chunky and timeless. I couldn’t decide for ages and then I saw ‘the ones’! As a huge fan of Winnie the Pooh (Ernest Shepherd not the Disney drawings), Wind in the Willows and basically any English children’s storybook with critters in it these mixing bowls were made for me. Introducing the In the Forest mixing bowls…. They also come in Rabbit and Owl, here’s hoping Pooh Bear, Kanga and Roo are next. This entry was posted on February 18, 2014 by The Sourcerist in Sourcing and tagged green, Mason Cash, mixing bowls.